There’s a beautiful symmetry related to this distribution of prime numbers when ordering those between the first 100 numbers that converge at Y+ or Y+. 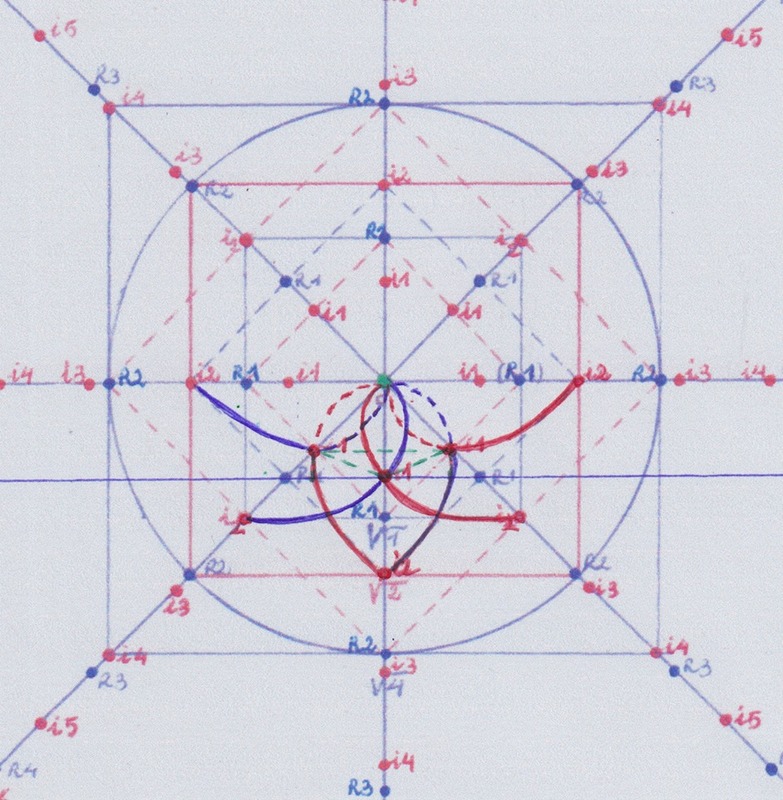 Combining the prime numbers of Y + and Y – there is a continuitity forming which seems a ring related to the number 90: The addition of the initial 7 and the antisymmetrically placed final 83 gives 90. 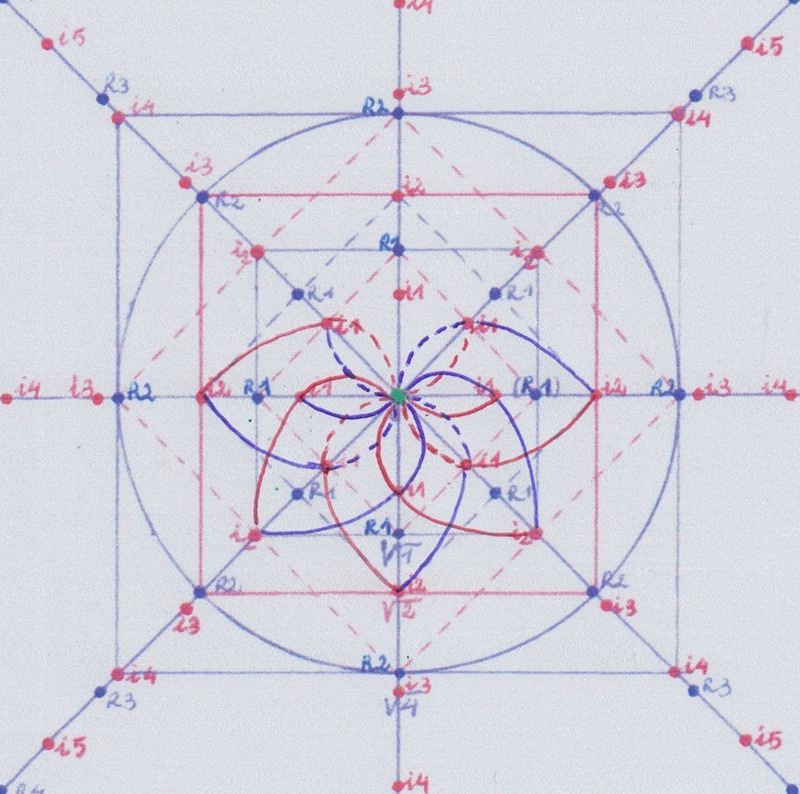 And it happens the same with all the other antisymmetric pieces: (11 + 79), (19 + 71), (23 + 67), (31 + 59), (43 + 47) = 90. The benzene molecule has also the structure of a ring as it was discovered by Kekule, being formed of 12 atoms: six carbon atoms attached each one to one hydrogen atom: C6H6. 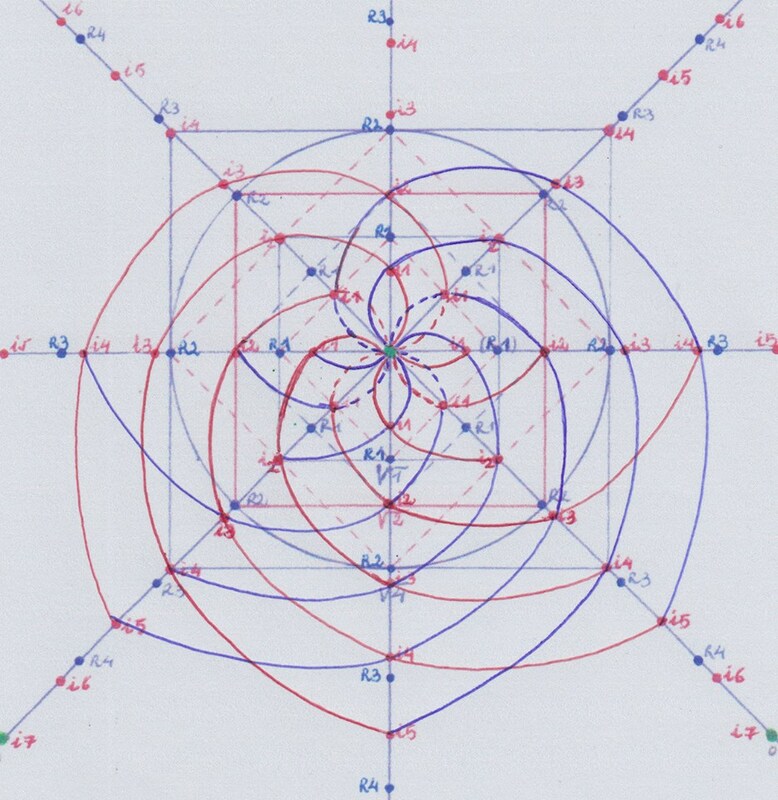 This prime numbers “ring” resultant from the diagram has also a structure of six prime “pieces” being each one raleted to a mirror inverted prime piece, forming by a total of 12 prime “parts”. It’s pretty interesting, isn’t it? But I yet don’t understand well the meaning of this arrangement. I’m going to tell you what I was doing when I found these distributions: I was representing all the extensions of the field of degree 1 on Y (the field that is formed by the + curve drawn from the the zero point to the point 1 on Y, and its – counter-curve) that can be created by prolonging the conjugate + and – curves that create that field of degree 1. 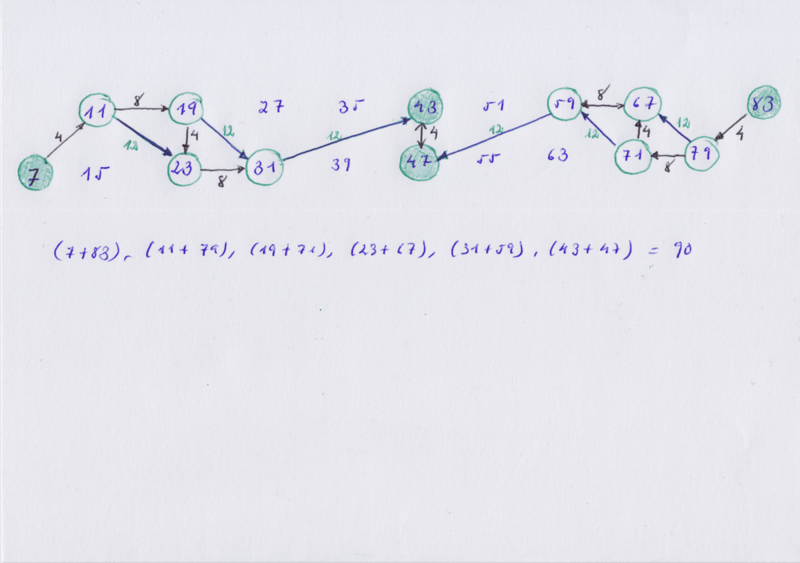 I did it by prolonging those curves until finding the converging points. 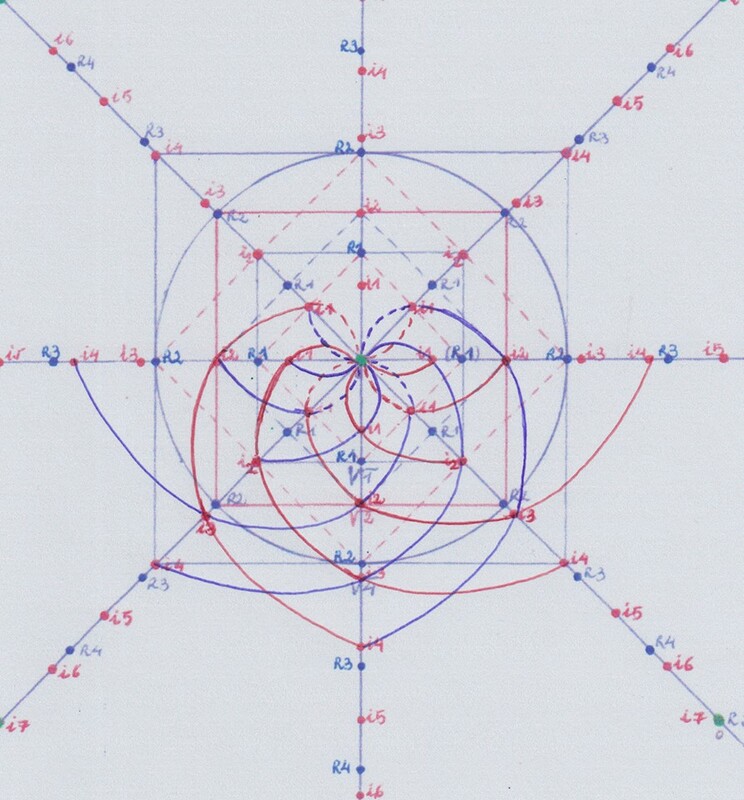 When the curves converge they create a new extension of the initial field 1. 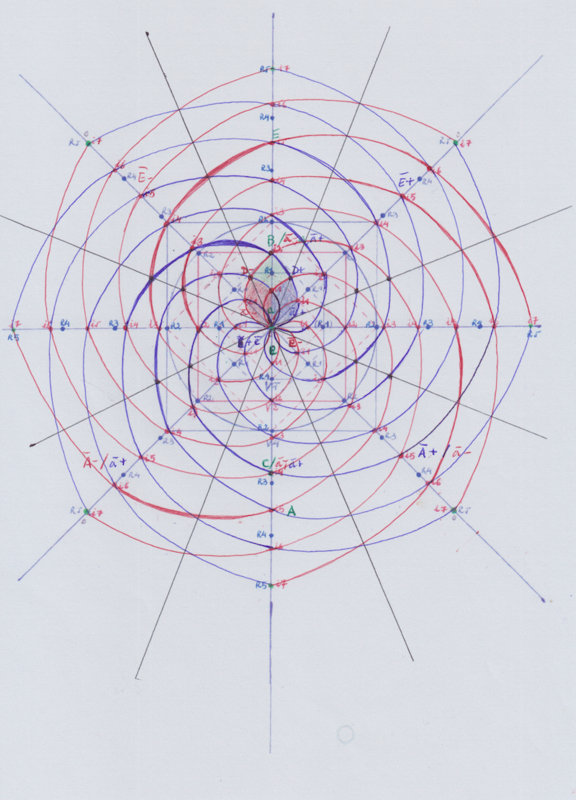 So, on Z, we get two complex conjugate extensions of degree 2; On Y+, we get a real extenion of degree 3, a real extension of degree 11, another extensions of degree 19, etc (all the numbers that converge on Y when prolonging the mentioned curves); On Y- we get an antisymmetric (with respect to 1) extension of degree 5, another of degree 7, another of degree 15, etc. 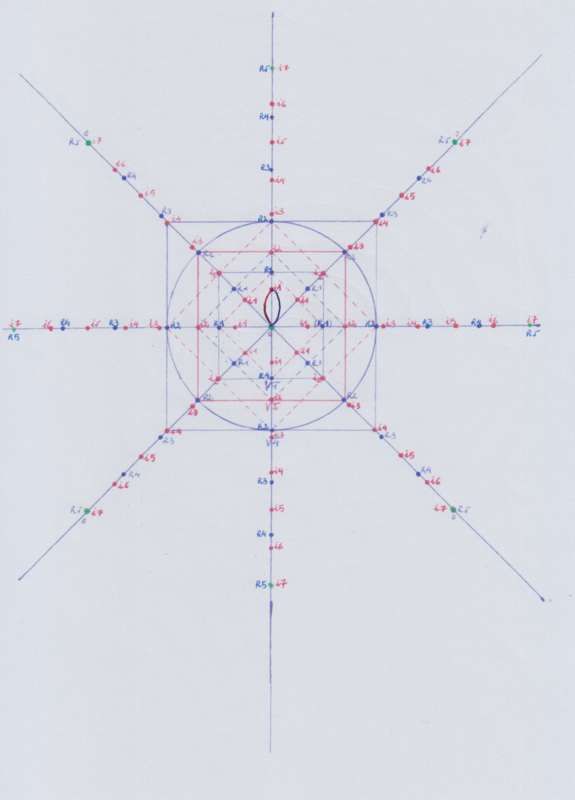 As the two first converging points on Y+ and Y- are prime numbers I though it would be interesting to see if there is something about that spatial distribution that could tell us something on the order of the prime numbers. I found interesting the way the convergence appeared at the degree 5 (the first prime of the serie on Y-) by prolonging the curves of 1, and that the second prime of that serie appeared also on Y- from prolonging the inverse curves of 1. I was doing this because I think in this way the Galois groups and extensions or subfields can be visually represented. 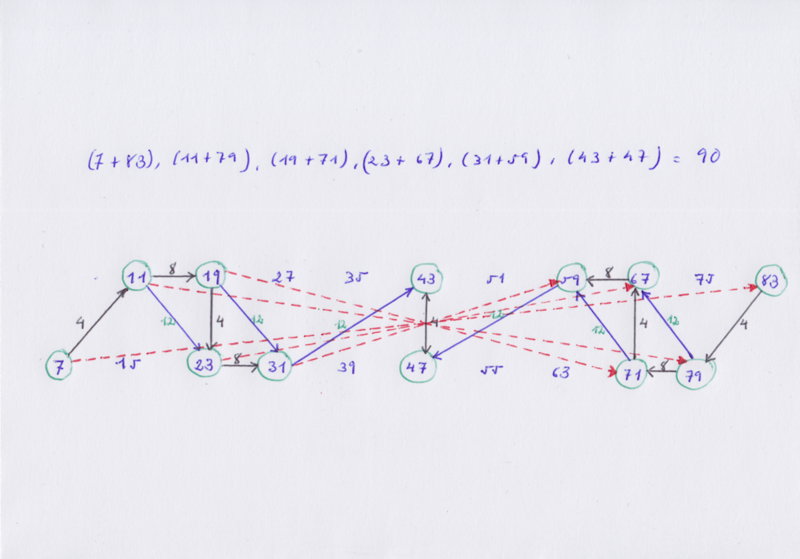 You can complete all the figure and to see how the same structure of the initial 1, its reflected 1 and its inverse 1, is preserved without interruption by creating and prolonging all the fields of degree 1 (starting from the zero point). 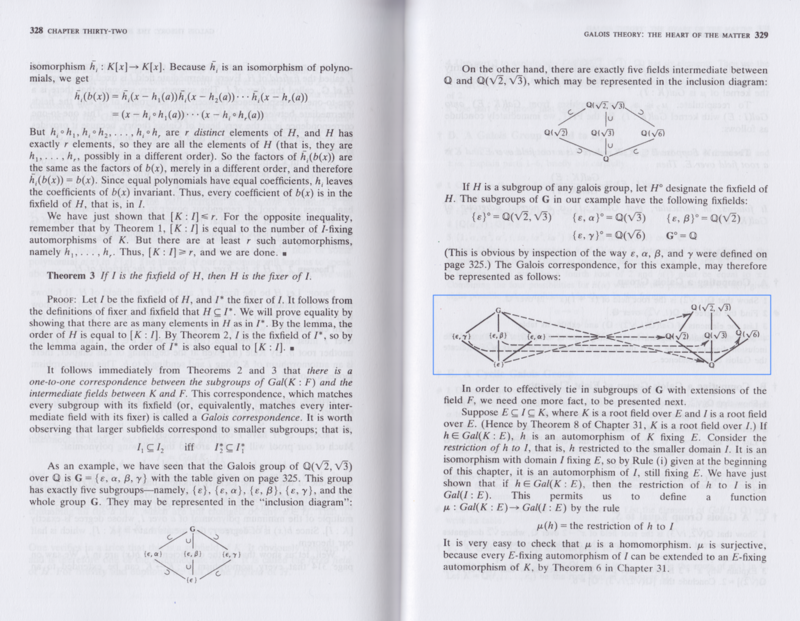 I think what we get when completing the figure are Galois hipercomplex groups and extensions. I drew curves but they could by straight lines. 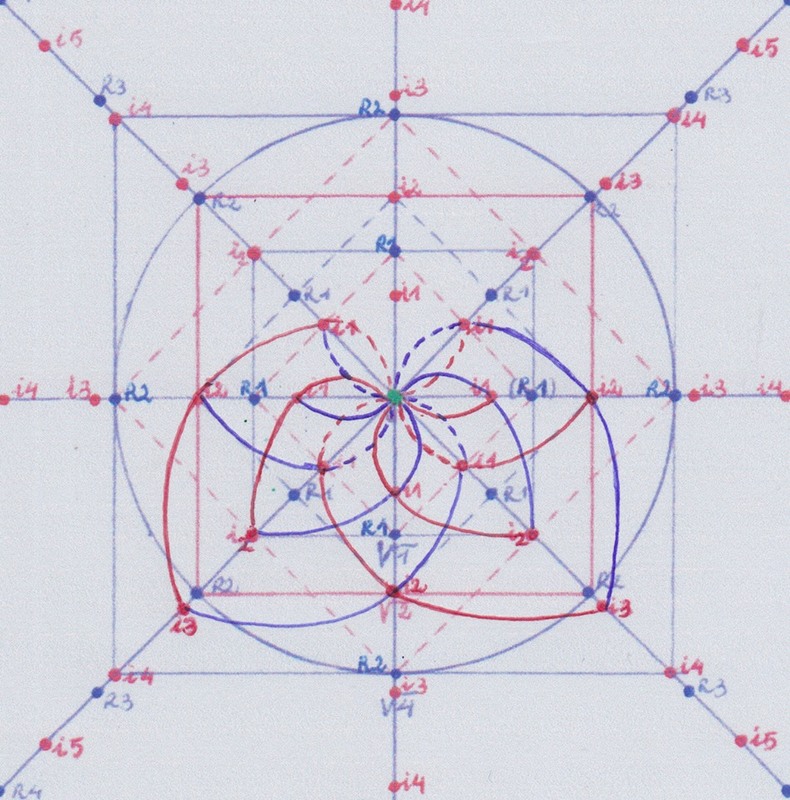 I think these diagrams are representation of Galois groups and extensions, and as you can see when it comes to complex or hipercomplex numbers the structure and the symmetry is always repected by any degree. 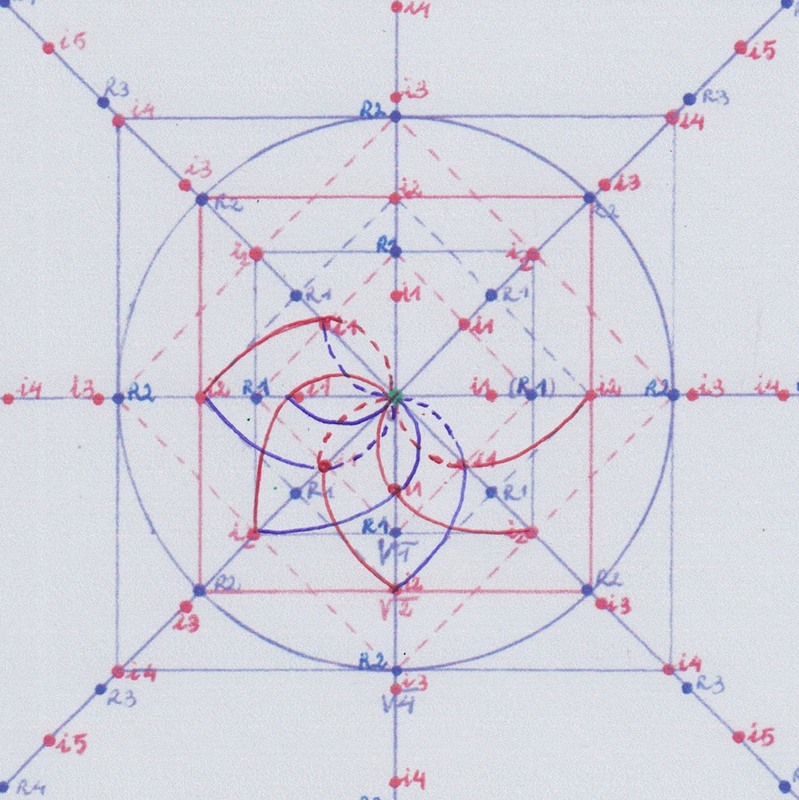 As Galois groups and all the groups theory, and almost all the mathematics since the XVI century have been developed in a purely abstract and exclusively algebraic way, without considering their visual representations, without having visual references, mathematicians are not able to afirm or to deny if these figures are or are not Galois groups. 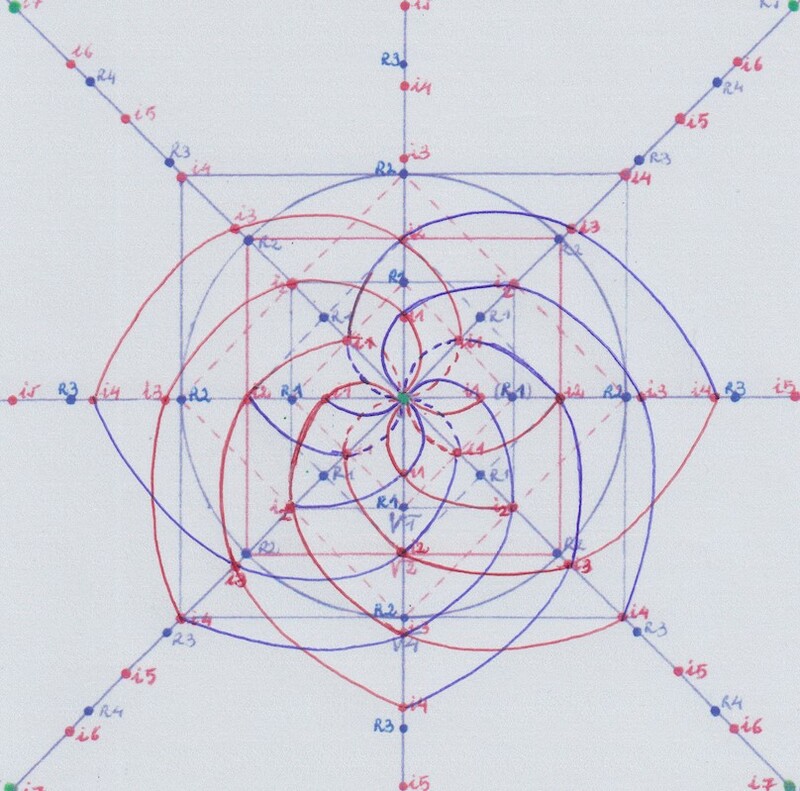 Do you think the similarity with this another pciture of the prime numbers distribution that appear when building (what I think are) the Galois groups and extensions of a field of degree 1 is a coincidence? 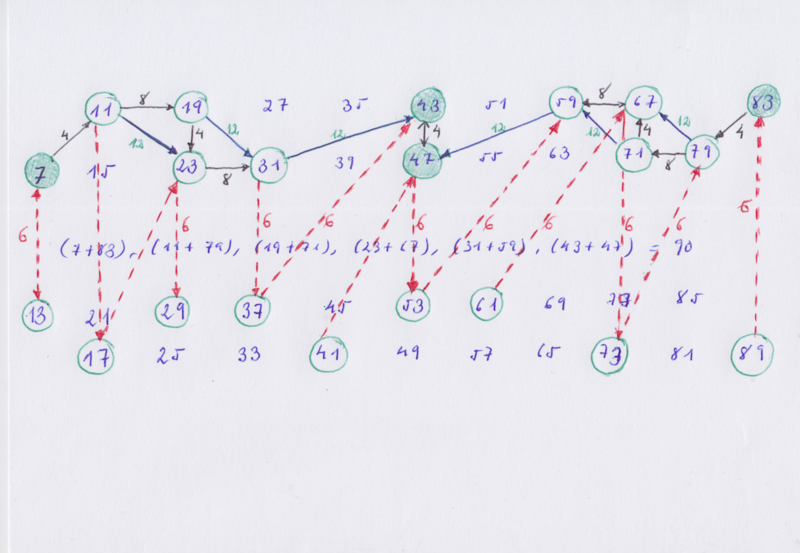 It seems this prime distribution is related to a Galois correspondence, and as the extensions we are represeting are only those related to prime numbers, the prime distribution would be a Galois prime numbers correspondence between Galois prime extensions. 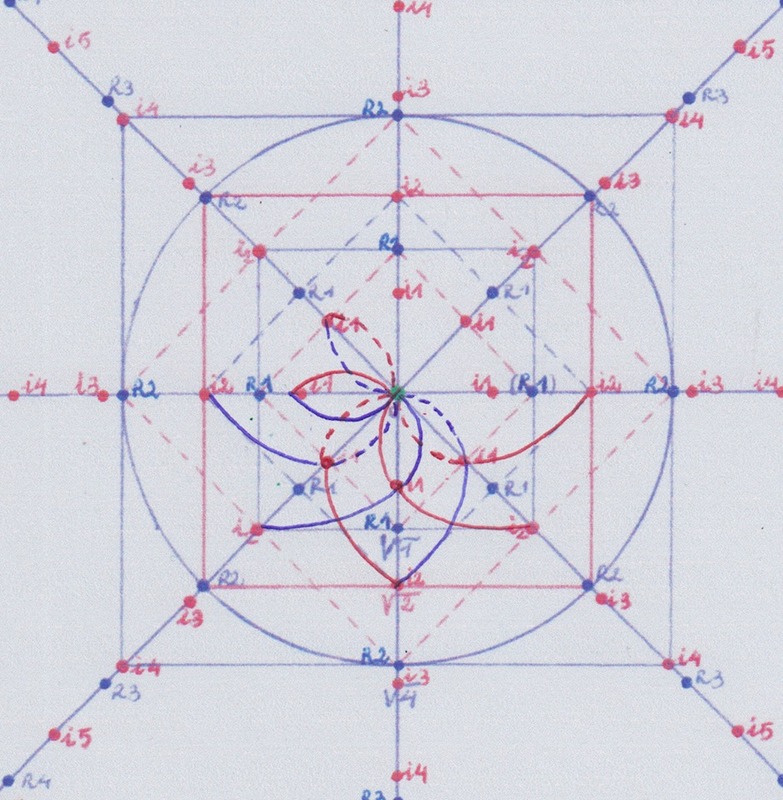 The picture actually represents a short of nonagon or “enneagon” spiral and its inverse spiral, because although the structure of the coordinates let us create an octagonal structure (related to 8 corners and sides) when building the spiral we actually count an additional “virtual”or “folded” side (which is clear when creating the field of degree 9 on Y+). 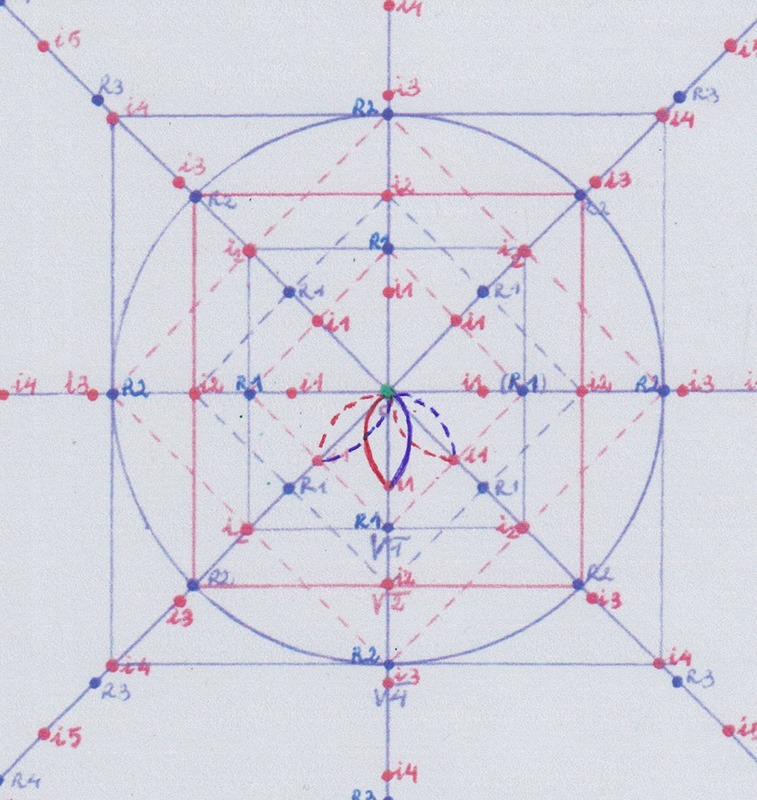 It could be the cause that the corresponding result when of the related pairs is 90 (9 sides and ten turns around the central axis). 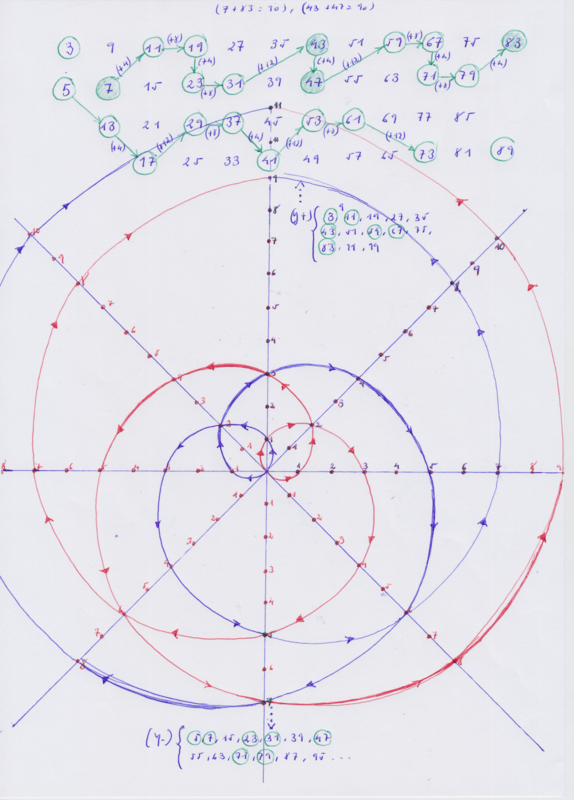 Another question would be if that spiral structure and its inverse or conjugate spiral can be prolonged to infinity or if we would get at some point a circle. 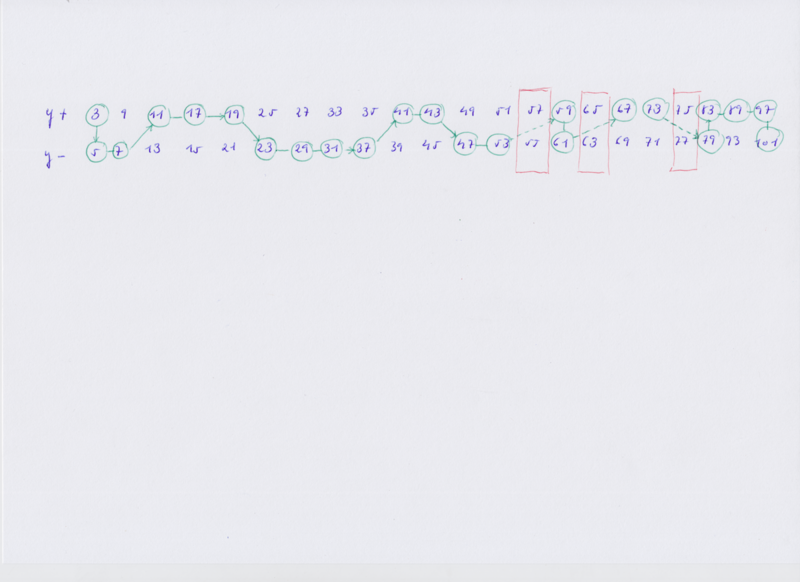 I didn’t research yet about it but it seems the prime numbers sequence change when arriving to the first 100 prime numbers, so maybe the path of the extensions would also change at that point, maybe starting a coming back path. 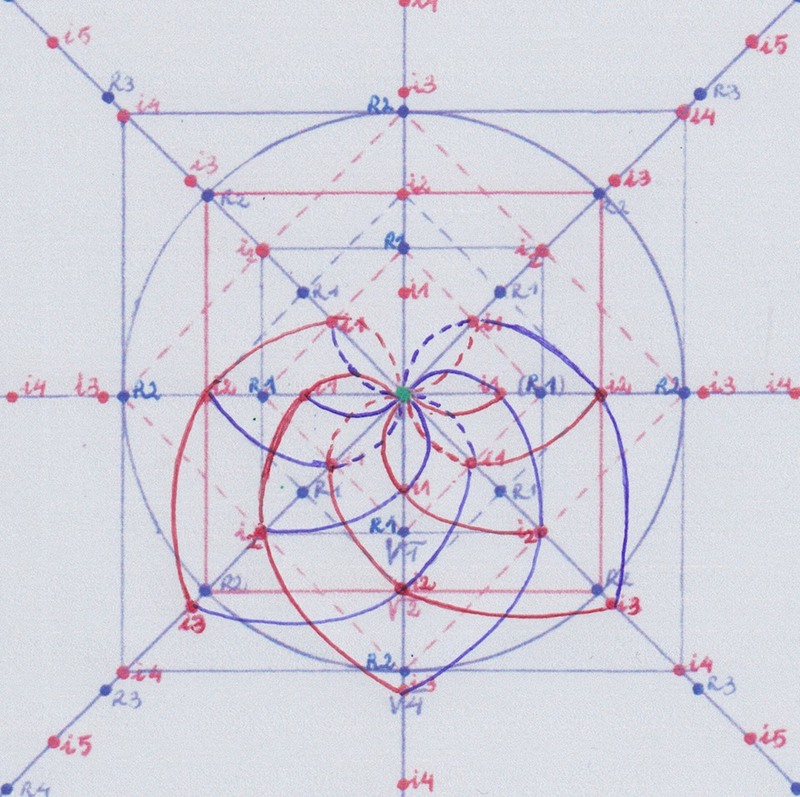 « Representación no algebraica de grupos complejos e hipercomplejos de Galois.